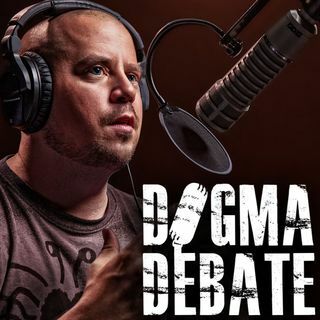 Martin Brower, a Christian supporter of Dogma Debate on Patreon, joins David in studio to finally challenge him in person. This guest is too busy facepalming (in a humorous display of the Dunning-Kruger effect) to realize that, by his own measure (tap-dancing around questions, folksy anecdotes, changing the subject), he himself is quite obviously a Christian apologist. The unintentional comedy of this was highly entertaining. God is a gangster making you an offer you can't refuse. Follow me or go to hell. This guy says hell is just being separated from God. Well if that's all it is, then so what? Why not accept Pascal's wager? Just be a believer in case there is a God? Does not your God know everything? Would he not know that a person was just doing it to get by? If this God is as loving as you say, he will know that the logical course of action is to not believe before i have better facts.